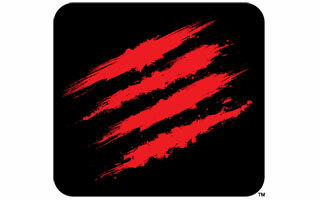 The financial struggles of Mad Catz continue as the company is delisted from the New York Stock Exchange. Mad Catz has been around from a long time. It's well known for its third-party controllers, Tritton headsets, and of course, for designing Rock Band peripherals. Of late, it's also been known for its financial struggles. Early last year, some of its executives resigned, and the company laid off 37 percent of its work force. The blame for the layoffs at that time was placed on lower-than-expected sales of Rock Band 4, a game which the company not only manufactured peripherals for, but also co-published. In September of 2016, Mad Catz sold the Saitek brand to Logitech for $13 million. Earlier this year, the company was warned that it was in danger of being dropped from the New York Stock Exchange due to its low share price. In a letter to investors sent back in January, the company said, "Due to the company's current low selling share price, the company's continued listing...is contingent upon the company effecting a share consolidation or otherwise demonstrating a sustained improvement in its share price within the next six months." Mad Catz was considering a reverse stock split, but it never happened. Trading of the company's shares was suspended last week, when the per share price fell to $0.04, and on Friday, the company was delisted from the NYSE due to "an abnormally low trading price." Mad Catz does not plan to appeal its delisting. This is obviously not good news for the long-time peripheral company, which will probably need to find a new investor or investors to keep the company from declaring bankruptcy.